This week’s theme is an audio freebie! I couldn’t decide if I wanted to focus on audiobooks, music, or podcasts, so I thought, why not all three? I’m a long-time lover of r/nosleep, but just got into the podcast a couple of years ago, and it changed my life. It’s a horror short story podcast that has amazing narrators and creators, plus the team focuses a lot on diverse stories, which is so awesome. I love horror, and I love metalcore, so a metalcore album where every song is an homage to a different horror film? YES, PLEASE. The link I chose is for one of my favorite tracks on the album: The Jig is Up (can you guess what movie it’s based on?!). 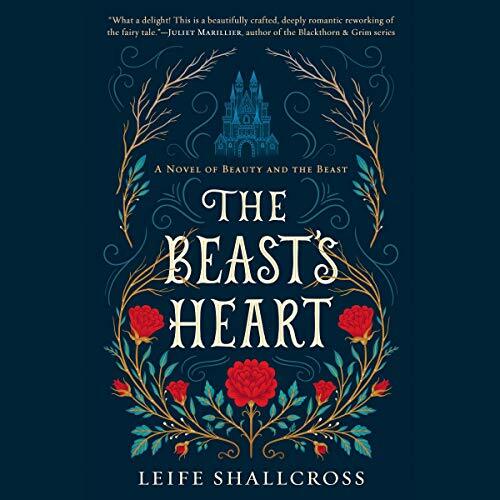 I had a physical ARC of the book I meant to review before its release, but when I missed the release date and then learned Jim Dale (the Harry Potter US audiobooks, anyone?) narrated it, I actually spent an audible credit on it anyways. 😅 It’s SO GOOD and Jim’s voice lends perfectly to the Beast’s mannerisms! I love this series and these audiobooks so much, I basically just keep them on rotation. Whether it’s his old stuff or the new album, I can’t ever seem to get enough. The link I chose is to my favorite of his new songs, Almost (Sweet Music). Florence is another artist I never get tired of, and it doesn’t matter which album I’m listening to, it’s all SO GOOD. ♥ I’ve adored her for years and seeing her live last October was one of the single greatest experiences of my life. For the link, I picked the song of hers I’m most obsessed with right now: Only If For A Night. This is another ARC I didn’t finish in time for its release, but I found the audiobook on Scribd and have been slowly working through it. The narrators haven’t been anything to write home about yet (for me, at least), but they’re not hurting the story, either. Seriously, I’m such a sucker for finding a good playlist and pressing shuffle. Windows down, belting out the lyrics to old MCR/TBS/Yellowcard etc. lyrics on a warm, sunny day? That’s the life. What do you like listening to – in the car, on the bus, while walking, or however else you commute? This gives me ideas for what audiobooks I can listen to. I haven’t listened/read any yet. my family hates me because i have recently become obsessed with Paramore for the second time. honestly im blessing their ears with hayley williams’ angelic voice I don’t understand why they’re so mad I play misery business on repeat on 9 hour roadtrips!! also brynn elliot is one of my car ride faves and is equally hated by my fam. what im hearing is that all my relatives have bad taste!!! Hahaha oh noooooo! 😂😂 I hope your family comes around soon ♥ and thank you! I really need to check out more podcasts! Great list. Thank you, and me too haha! It seems like I’m either listening to podcasts or audiobooks in the car. I usually do one for quite a while before I switch to the other. Like how you had a unique take on this topic! Thank you! I think I tend to go through phases of everything a lot when it comes to what I’m listening to, too. I’ve mostly been listening to music for the last couple of weeks, but today I listened to NoSleep and it made me want to binge that haha. Yesss! 😀 I hope it does haha! Haha finally, someone who agrees with me about Madison! I can’t stand her. 😂 She’s so offensive literally ALL THE TIME, and she’s super whiny. Sigh. I recently took the dive into audio books, and went for Illuminae because everyone said it was amazing. And I loved the Illuminae trilogy and wanted to re-read. Yaaaaay! 😀 I’m so glad you loved them, too! I listen to either podcasts or music whilst travelling, usually a mixture of both! The No Sleep podcast sounds so good. I really have to get back to the No Sleep Podcast! I used to listen to it a lot, I don’t know why I stopped. Maybe it’s because I found Creepy and I like the narrations better in that one. I *loved* An Anonymous Girl! Hopefully the lackluster narrators don’t ruin it for you. Will have to check out the No Sleep Podcast because I love a good horror story. 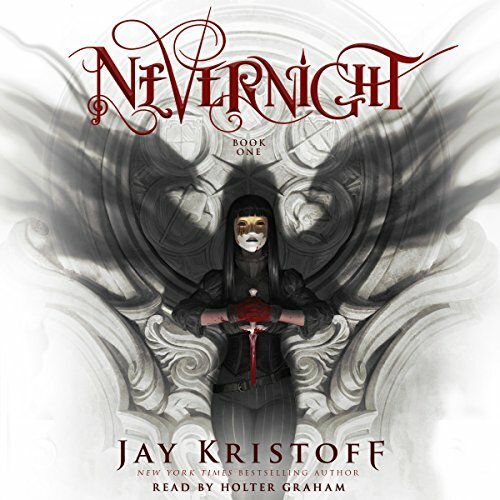 I really want to do a reread of Nevernight via audio as well, so it’s good to know you’re loving it! And I’ve been SO curious about The Illuminae Files audiobooks. My husband tried them and wasn’t a fan because they read out all the stuff on an email you’d normally skim, but I’m thinking it would be a fantastic experience to listen while reading along! It’s such a good audiobook! I just really love the narrator. He also has this slightly shaky tone to his voice sometimes during Mia’s parts that reminds me of how young she really is and how much hell she’s been through, and I just love it. He’s definitely a *storyteller* and not just a run of the mill narrator if you know what I mean. 🙂 And the Illuminae audiobooks were so fun to me! I listen to them sped up a bit so the “skim” parts you mentioned don’t bother me, but I can see how that could get old. Florence AND No Sleep in the same post? Sign me up, Queen! But in all seriousness–yes. That’s it, that’s my comment. YES. All caps. Enter. 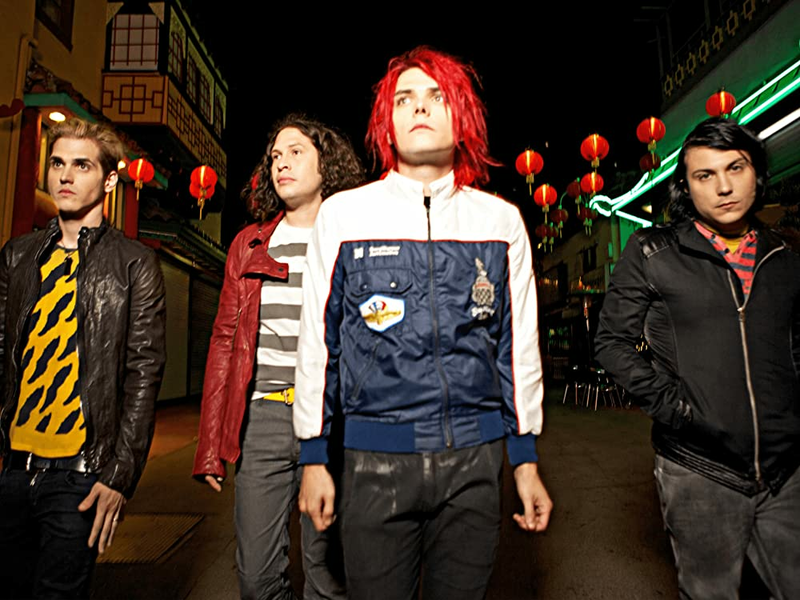 #10 – 2000s/early 2010s emo/pop-punk – SAME TO INFINITY. I’m pretty sure we will be listening to 2000’s emo music when we’re older like our parents listen to 70s/80s music LMAO! I’ll never get bored of it! Awesome use of the tag prompt this week! Hahaha yes! I joke with my spouse all the time that I can’t wait to see what our son thinks of our “oldies” when he’s older 😂😂😂 thank you! Hozier and the Illuminae Files series are literally works of perfection and I will stand and protect them for the rest of my days! Bookmarking this post, as I haven’t heard of some of these (especially the podcasts) before and I’m hella intrigued! Yesssss! ❤ And thank you, love! YES!!! The Illuminae Files trilogy is BRILLIANT in audio. Some of the best listens ever! Agreed! Whenever people tell me they don’t like audiobooks and wish they could find one they like, I always ask them if they’ve listened to those. 9/10 of the people who have given them a chance have come back and told me they were a total game-changer for them! So much yes to Florence + the Machine! She’s one of my favourite artists, hands down. She’s so amazing! Seeing her live made my life, honestly. She’s just a powerhouse and gives off the most positive, wholesome energy I’ve ever felt in my life. I love Florence + The Machine! I love podcasts – I have so many I’m subscribed to! It’s how I survive my daily commute. Those, and my Glee CDs. I have a bit of a soft spot for Madison! I’ve been powering through all of TMI audiobooks (and I mean ALL OF THEM, expanded universe included). I think you might like Teen Creeps podcast? They do weekly discussions of YA pulp lit! Oh, man… Madison. I dunno what it is about her. I’ve been listening to Alt Nation since 2010 and every time I try to force myself to like her, she says something offensive and I’m just DONE all over again. 😂 But I always see people on their FB pages saying they love her, so I definitely think it’s just one of those things for me. Ooooh, I will check that out! Thank you!! Love me some Hozier and MCR, too! Hahahaha it is SOOOO GOOOOOD! I hope you like it. 😀 Did you get the chance to check it out yet? I listen to different things depending on how I’m commuting. When I drive places I normally just listen to pop or classical music. But when I take the subway it varies. My playlists include pop, Broadway shows, and other random songs I pick up along the way. Most recently I’ve been listening to the Umbrella Academy soundtrack because it’s absolutely AMAZING! Kill of The Night by Gin Wigmore and Istanbul by They Might Be Giants have been playing on repeat for the past week or two! I have been binging the Books in the Freezer podcast. I’m about to finish their backlist and I have no idea what I’m going to do with myself then. Oooooh, fun! I still need to check that one out. I mentioned NoSleep in this one but I hadn’t actually gotten the chance to listen to their last couple of weeks’ worth of shows, so I was listening to the most recent one earlier today and it made me wanna binge them ALL. I love Florence and the Machine! I also haven’t really ever given podcasts a chance, but I definitely want to. 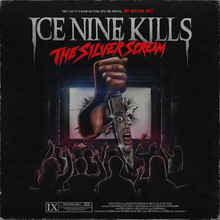 I’m glad to see that you’re still listening to The Silver Scream! 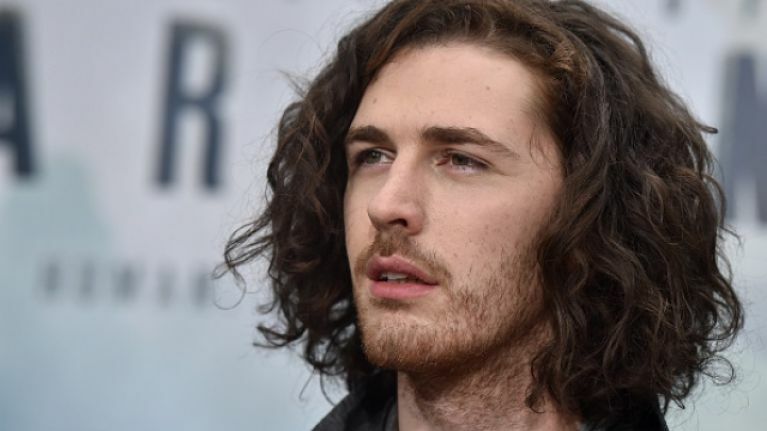 And I’ve been really into Hozier lately too, his new album is so. good. This last week though I listened to a ton of Julia Michaels, and this weekend has been full of Billie Eilish’s new album which is absolutely fantastic. It’s just SO GOOD. Oooh, Billie Eilish ❤ and I've only heard a couple of Julia Michaels songs, but they were really good, so I'll have to check out more soon! My husban is going to their show in OKC on Thursday and he got a meet and greet pass, so I’m super excited for him! If you listen to more Julia Michaels let me know what you think! That’s awesome!! I hope he has a blast. 🙂 Will do! Omg I love this idea! I decided on audiobooks, but I wish I had done something like this. Maybe “what I’m listening to at work.” I haven’t listened to the No Sleep podcast yet, but I’m a little scared to. Thank youuuu! I’d love to see your take on it. The NoSleep podcast is so much fun. I’ve been listening to it these last couple of seasons and I will say that *most* of them are awesome-but-not-really-SCARY, but a few of them… oof. o_o I definitely had to turn it off once while driving alone at night, haha. I usually listen to podcasts at work, so I can easily see myself getting scared when a coworker came to ask me something, ha. I might try listening to it anyway, though!